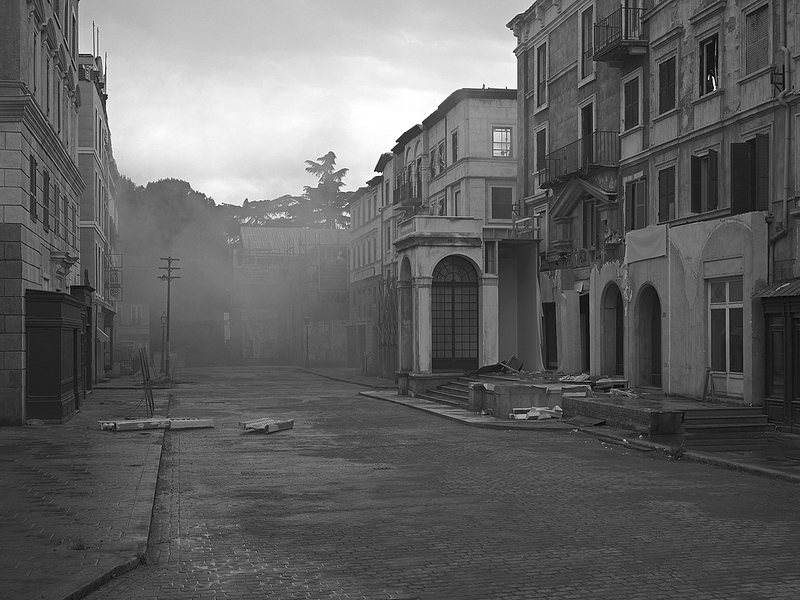 The aura of the science fictional surrounds the work of photographer Gregory Crewdson. 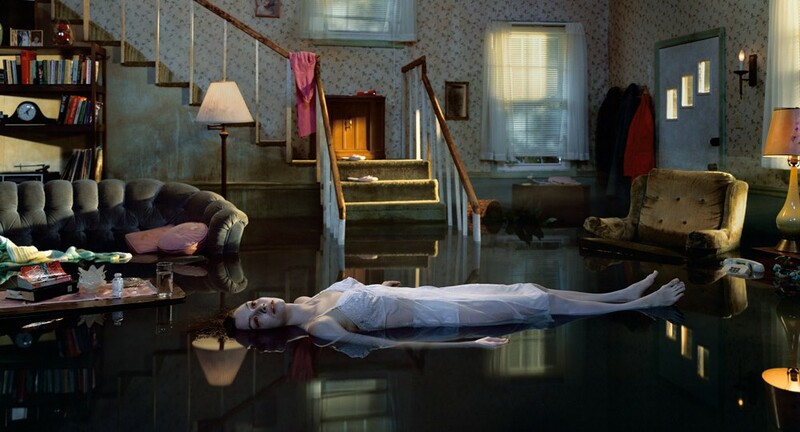 In series such as Twilight [1998-02] and Beneath The Roses [2003-06] Crewdson created oblique narratives where moments of dramatic realisation were contrasted with surreal idylls. In one image of the Twilight series, for example, an unremarkable house in a suburban street stands in contrast to its neighbours: under a slate grey sky the house glows yellow from within. In another image, a young man is seen stretching his arm down into the space below a bathroom floor, the image shot in cutaway view revealing his hand stretching into cold space. In a third image, a lounge room is flooded, the figure of a woman dressed in white floats on her back gazing at the ceiling. In a fourth picture, a car is stopped in the middle of a street that cuts through an anonymous suburb: the car’s boot is open and a figure is slumped in the driver’s seat. To the right of the car among trees and bushes is a strange, light-filled portal. These sorts of images from Crewdson’s late ’90s and mid-2000s work are decidedly cryptic. Taken together they work in the manner of a storyboard as the viewer pieces together their connections and connotations while recognising the familiar tropes of genre cinema. Individual works from these series – all unhelpfully Untitled – include quotations and references to SF movies. In one picture a man has built a grass-covered mound in his garage recalling Close Encounters of The Third Kind. In another work the archetypical UFO visitation is suggested as a man stands on the corner of a suburban street gazing up into a beam of light. Although there is a resonance of these other artist’s work in Crewdson’s images, it’s difficult to wholly reconcile works of the Twilight period within a contemporary sublime. Certainly there is an intimation of a powerful transformative force at work but, as Luckhurst notes, it’s off screen. Crewdson’s photographic prints are typically large, measuring between 150 and 250 centimeters in diameter. While a literal depiction of sublime forces may be absent one can detect the venerable language of large pictures, a pictorial narrative style elaborated by American painters such as Frederic Church and Thomas Cole. In these large-scale 19th century paintings individual narrative episodes were woven into the vast expanse of monumental canvases, tiny proto-cinematic montages within the greater picture that allowed a viewer to piece together a story. In Crewdson’s photographs small, telling details are similarly highlighted by the careful use of lighting, a ploy that directs the viewer’s attention around the image. While justly celebrated for their cinematic ‘look’, it’s actually within this tension between detail and the total picture that the photographer’s images work as complete narratives. This estrangement from a recognisable experience of time is the most tangible link between Crewdson’s photography and the science fictional. The work of the Sanctuary series is the richest in their evocative sense of disconnection, the images denying the artifices of the faux-movie image for the deadpan delivery of digital reportage. It’s in this sense too that Crewdson’s works share some intriguing connections with other contemporary photographers whose work is equally imbued with the aesthetics of SF. 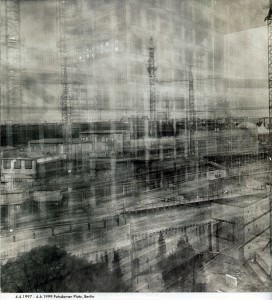 Michael Wesely’s photographs are the result of extremely long time exposures, some as long as 26 months in duration. 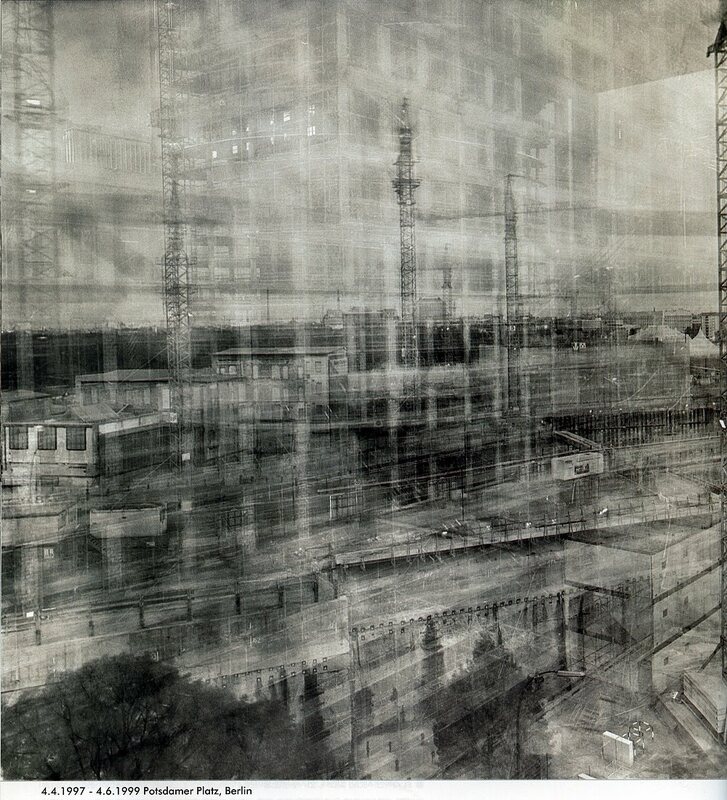 Using especially devised pin hole cameras and filters that reduce the amount of light hitting the negative, Wesely’s images record the construction of buildings in city streets creating a startling ‘out of time’ effect: buildings that stood for the entire duration of the exposure appear solid, while the slow construction of buildings in the foreground leave ghostly see-through walls and faint shadows. There’s a similar out-of-time quality to Doug Rickard’s work, but where Crewdson and Wesley travel to various locations to capture their strange images, Rickard never leaves his studio. Using Google Street View as his camera, Rickard scours thousands of ‘views’ of contemporary America then rephotographs his findings straight from his computer’s screen. The result are images rich in cinematic suggestion, their washed-out bleakness reminiscent of the sun blasted streets of a zombie apocalypse, but also extraordinary in their verisimilitude – these are real places, real streets, real people, the wreckage of broken down cars, runaway children, swathes of broken concrete, and dusty empty buildings that is contemporary America. Luckhurst, Roger. Contemporary Photography and the Technological Sublime, or, Can There Be a Science Fiction Photography? Journal of the Fantastic in the Arts (19:2) , p.181-195. Bio: Dr. Andrew Frost is a writer, art critic and broadcaster. His doctoral thesis Science Fictional: SF Beyond the Limits of Genre studied the historical relationships between art and science fiction. Frost has written and presented a number of TV programs, the most recent of which – The A-Z of Contemporary Art – screened on ABC1 in June 2013, and he is the art critic for The Guardian Australia. In 2010 Currency Press published Frost’s monograph The Boys, in its Australian Screen Classics series.